Let us first define the two concepts to ensure that we are all on the same page during this discussion. Movement is what physically happens with the trunk and branches. In other words, whether the trunk moves to the left or to the right or in an S-shape to both sides alternatively. Flow is the general direction that the tree leads the eye towards. There are a few things that determine this flow. A formal upright tree does not necessarily show flow as the idea here is that the tree is symmetrical and well balanced. The primary branch’s movement is towards the right and the apex is also in that direction. Overall flow therefore is to the right. It can also be seen that the tree is planted towards the left of the mid-line of the pot. well as the apex that determines the flow direction. I would like to add the trunk line to this as well. 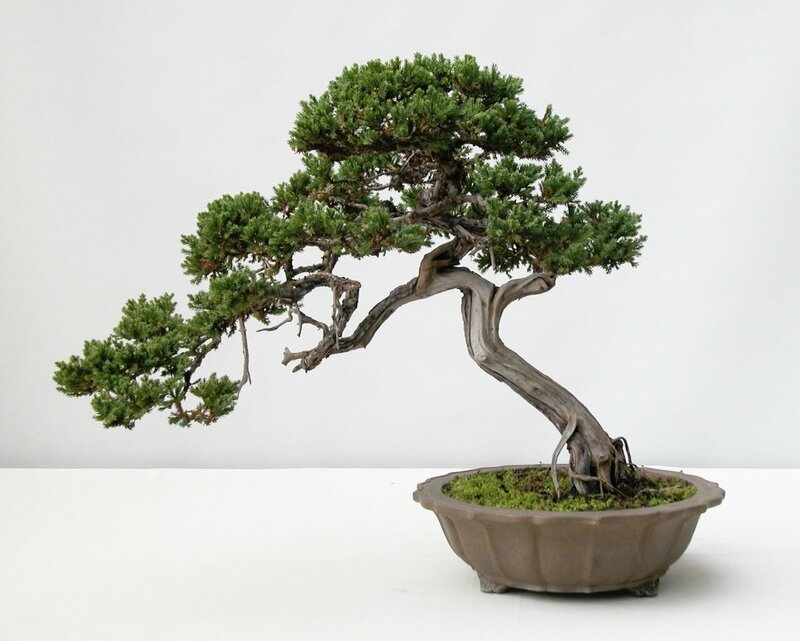 Although the trunk could be leaning towards the left, the primary branch could be moving to the right and the apex could be on that side as well. Overall the flow will be to the right. 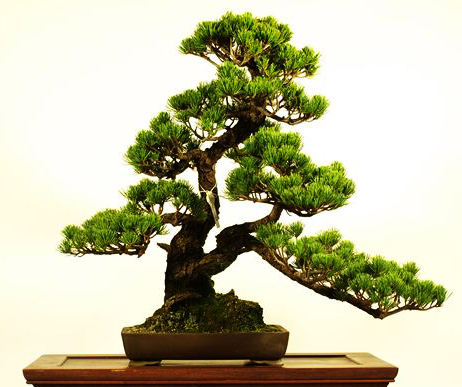 All the other branches and in some cases the nebari, will have to be designed to follow this flow pattern. What if this does not happen? The main issue will be that the tree will look unbalanced and disturbing to the eye. This is an example of a tree with flow in all directions. The trunk on the right flows to the left, the trunk on the left, flows to the right. Flow is important as it will determine the placement of the tree in the pot. Trees should be potted behind the mid-line of the pot, but the flow will determine whether it is planted to the left or right of the mid-line. As said, it comes down to the flow. If the flow is towards the left, the tree will be planted to the right of the mid-line. If the flow is to the right, the tree will be planted to the left of the mid-line. The primary branch is towards the right, so is the apex and therefore the overall flow is to the right. The tree is therefore planted towards the left of the mid-line. This tree has its primary branch moving to the left and the apex is on that side as well. The trunk is also slanting that way which makes it easy to determine that the overall flow is towards the left. The display of the tree is also determined by the flow. The placement of the companion plant (kusamono) will be on the side of the flow direction. For example, if the flow is to the right, the kusamono will be placed on the right. 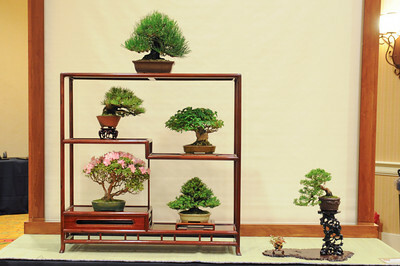 This becomes very important when shohin are displayed in a multi-tiered stand. 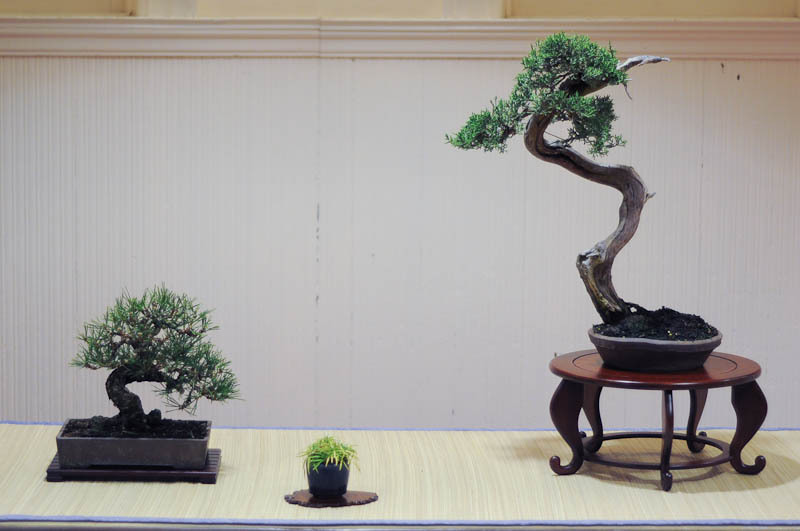 Trees should either be all adding to wards the overall flow of the whole display, or they should complement each other by forming a “closed” display. This means that they do face each other within the display. It all depends on the effect that the artist wants to create. The main tree shows its flow to the left and the companion tree shows its flow to the right. These two trees complement each other. 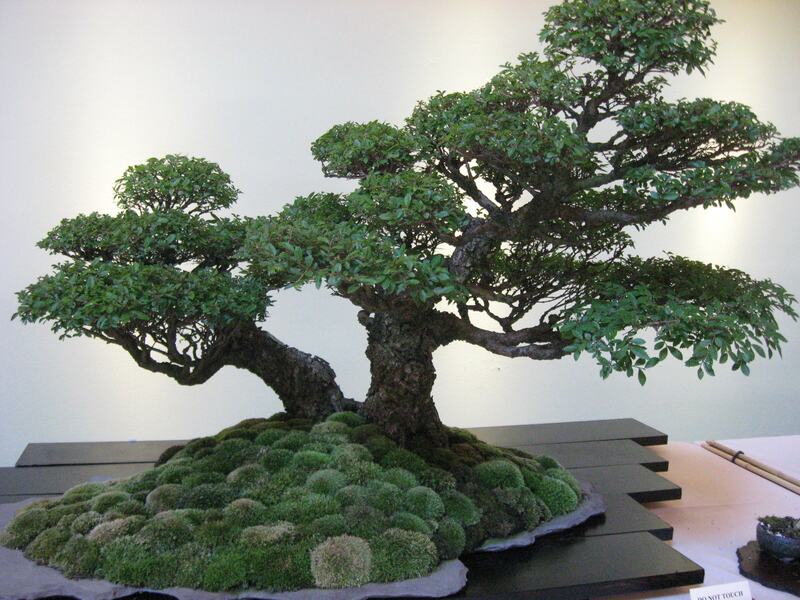 In this shohin display the top tree is balanced with no overall flow. The next shelf down shows the tree on the left with its flow to the right and the opposite is true for the tree on the right. On the bottom shelf, the tree on the left flows to the right, the tree on the right looks relatively balanced and if anything, the primary branch could be moving to the right. In this case the companion plant to the right of the display, flows to the left. A well-balanced display. The principle of flow and the calming effect that it can have on the observer cannot be underestimated. It is the same when one looks at a masterpiece painting. There is always some sort of flow to be seen. This is either in a specific direction (see kusamono placement above) or it is towards a focal point within the artwork (see shohin display above). 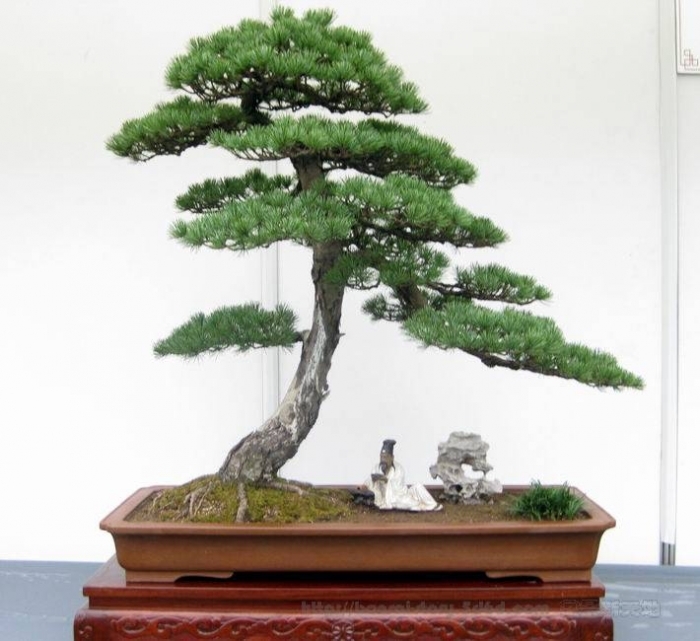 This principle can therefore be seen as a wider artistic principle and not only applicable to Bonsai. For me it also has to do with the flow of energy. 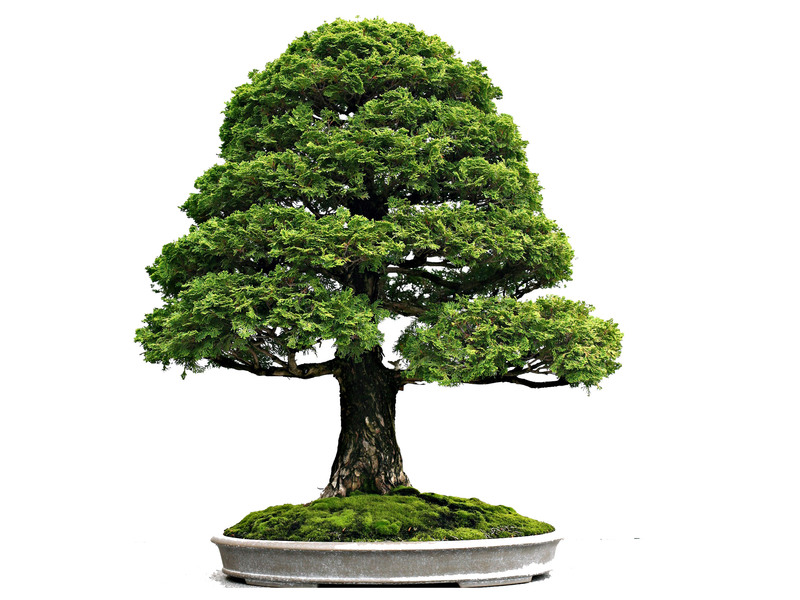 The overall flow of the tree indicates a flow of energy. This adds to the dynamic nature of a display or to a more relaxed feel. Where there is flow in too many different directions, the energy flow is all over the place which adds to a feeling of discomfort when observing the display. I would like to acknowledge the websites that the photos came from as used in this blog post. Great blog post. Very interesting topic. Than for posting?